The Bahamas is an old-time favourite diving destination in the Caribbean especially if you enjoy diving with sharks as seen on David Attenborough’s Blue Planet series. The Bahamas is home to some great shark diving, this adrenaline fuelled diving destination will keep you logging exciting dives one after the other. Spend a week aboard the Bahamas Aggressor and then soak up the sun and relax at the Melia Nassau Beach. Perfect for newbies or seasoned pros looking for a chilled week of diving amongst some beautiful reefs and island views. You can learn to dive on-board as well. You can enjoy fantastic food, plenty of non diving excursions. A great place for beginner liveaboard divers with the bonus of seeing shark feeding. Choose from a fantastic liveaboard suitable for beginners, a Nassau based holiday with daily diving and great nightlife or a remote island getaway. Shark feeding dives on tap as well. 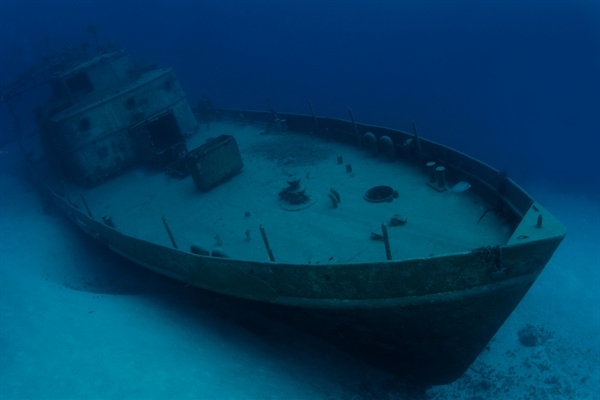 Diving in the Bahamas is quite exciting especially if you are a pelagic lover. 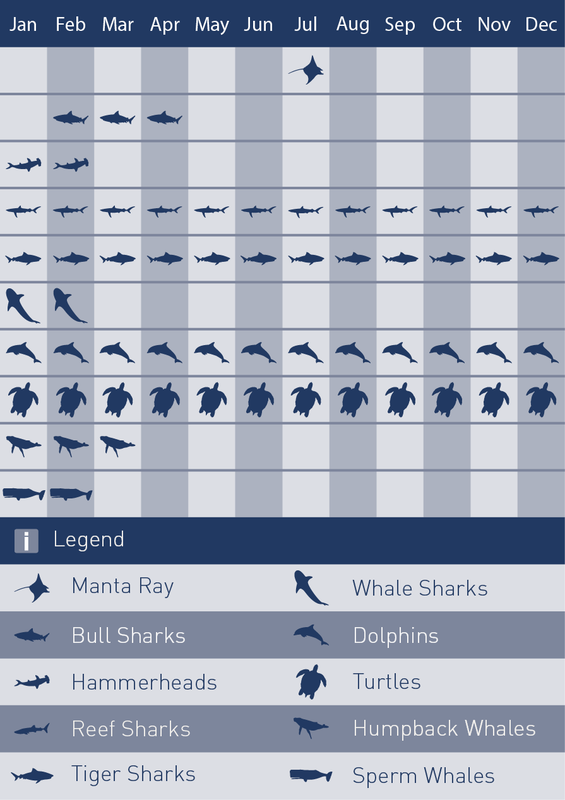 Most dive operators offer the famous shark dive where you will be surrounded by hundreds of sharks! The outer reefs are also very pristine, especially if you are on a liveaboard and the route takes you around The Exumas where you will find colourful walls and massive schools of fish. Solo Diver Week in Bahamas, one week full of diving, fun and adventure. Ardastra Gardens is set in four acres of lush jungle, filled with indigenous and regional plants, and the gardens are undoubtedly one of the most memorable parts of a visit to the Zoo. Explore winding trails through lush vegetation, cascading waterfalls and sparkling fountains. Visit the picturesque chapel, which has been consecrated and is a favourite place for weddings, prayer and meditation. Scattered over 1,500 square miles of clear tropical sea at the top of the Caribbean, the chain of 700 islands, uninhabited cays and large rocks make up the Bahamas. Formed mainly of flat coral, with just a few gently rounded hills, the highest point of the archipelago is just 206 feet but despite this shared topography, the nature of each island is as individual as the 300,000 people who live in the Bahamas. The Bahamas blue waters are very famous for sharks. It is always a thrill to get a close encounter with one of these apex predators, but in the Bahamas you will get a closer encounter with up to thirty or forty sharks in one dive. With each island in The Bahamas offering something different, your best plan is to hop on a plane or push out a boat and visit as many as time allows. Sample the city living island-style, by spending a few days in cosmopolitan Nassau with its duty free shops, golf, museums and restaurants and if it's romantic seclusion you're after, lie back and relax on the pristine white sand of Long Island's deserted beaches. The islands of the Bahamas have a strong tradition of welcoming travellers, which started more than 500 years ago with the arrival of Christopher Columbus in 1492 as he searched for the new world. Wherever you go you will enjoy a welcome that is as warm as the Bahamas tropical climate and hear stories that are as rich and colourful as the Bahamian culture. 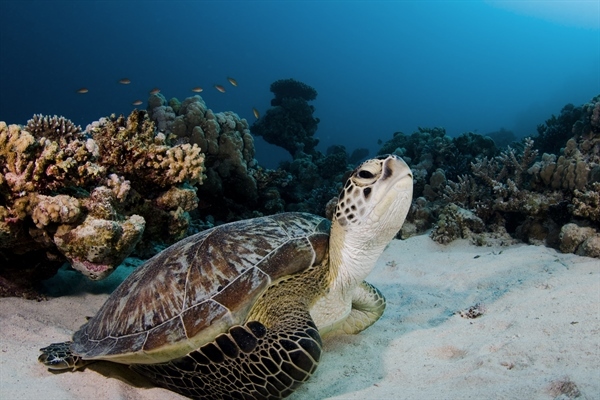 The Bahamas enjoy the protection of the third largest barrier reef in the world. Soft corals crowd the shallow reef tops, their fronds swaying back and forth in the gentle surge. Walls of hard corals are adorned by colourful sponges from a buttress to the deeper ocean. 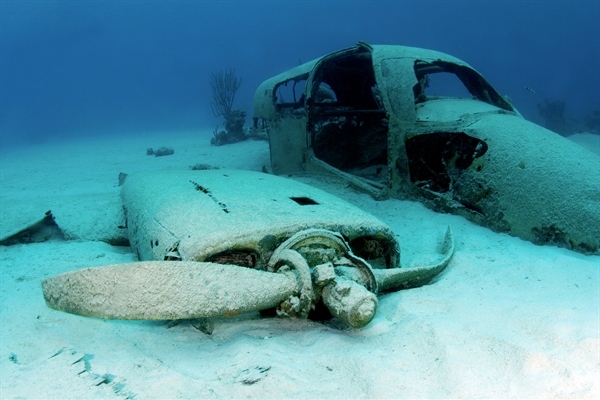 The presence of wrecks has always acted as an irresistible lure for scuba divers and the shallow waters of the Bahamas are littered with the wrecks of vessels and some of these you will recognise from some Hollywood films. 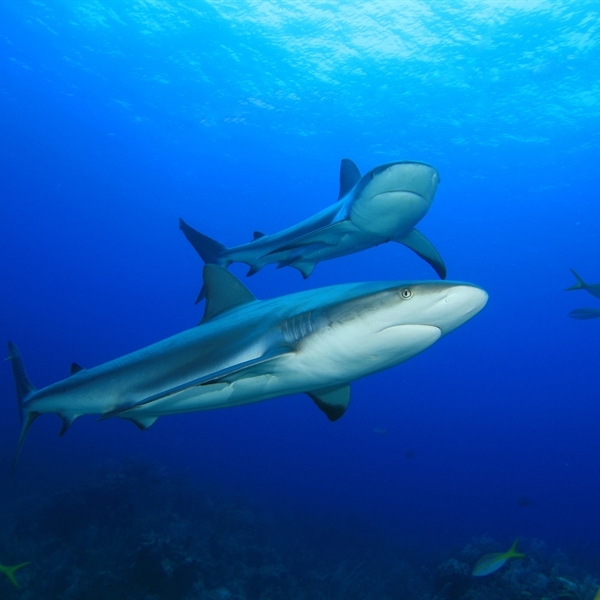 The diving in Nassau is diverse and apart from the number of wrecks around the island, many of which have been involved in Hollywood films, Nassau also offers divers an amazing opportunity to dive with a large number of sharks, primarily Caribbean sharks under controlled conditions. The Exumas are home to a barrier reef that stretches over 4 miles offering pristine reefs in relatively shallow waters. 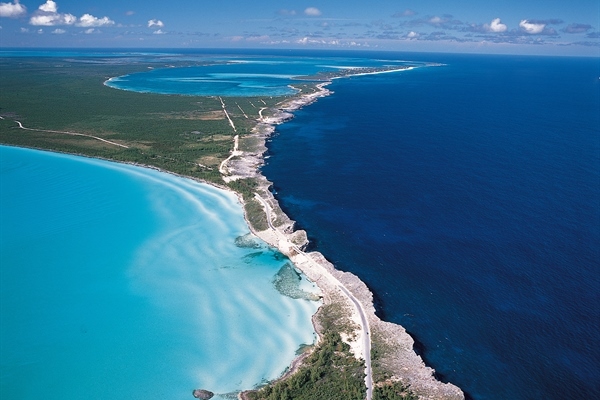 However, the islands are better known to divers for the number of blue holes and the Exuma Land and Sea Park located north of the islands covering 110 square miles. Here divers will have the opportunity to see many staghorn and Elkhorn Coral, mangrove forests, caverns and caves. Long island offers an incredible variety of diving, from hundreds of coral head and reef sites on the northwest lee side of Long Island to some 15 miles of explored northeast Atlantic locations. The lee is mostly calm, with little or no current; most sites afford a 'fixed' bottom, making for easy and safe dive planning and orientation. The Atlantic shelves and reefs are dramatic, with vast areas of incredible antler and other large-growth coral fields. The water here seems bluer, the fish bigger, and underwater scenery wilder. Every dive here provides a feeling of raw adventure and yet, the shore isn't far away. In Long Island divers will have the opportunity to go on a shark feeding dive with Stella Maris or dive one of the world’s known deepest blue holes, Dean’s Blue Hole, at 660 feet from a gorgeous beach. In the Bahamas, service staff and hotel workers expect to be tipped. The usual tip for service is 15% and $1–$2 a bag for porters. Most travellers leave $1 to $3 per day for their hotel maid, usually every morning since the maid may have a day off. 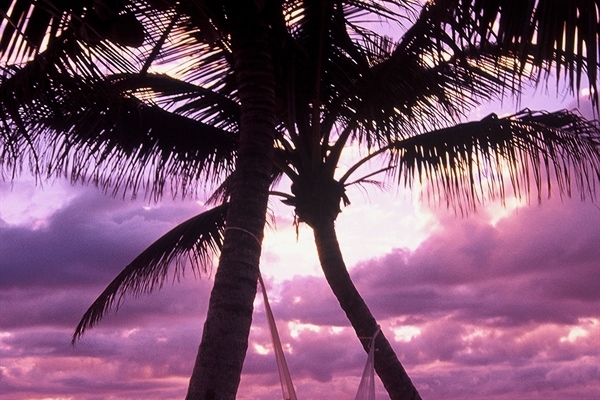 British nationals visiting are usually allowed entry into the Bahamas for up to 21 days without a visa. You must hold a valid passport to enter and it should be valid for six months from the date of departure from the Bahamas. Departing from Heathrow to Nassau with BA direct flight on selected week days. Average flight time with BA is 9 hours and 20 minutes. Our packages to the Bahamas do not include transfers as the local government would like to encourage tourists to use the taxi services at the airport. We recommend that you agree a price with the taxi driver before getting in the taxi. 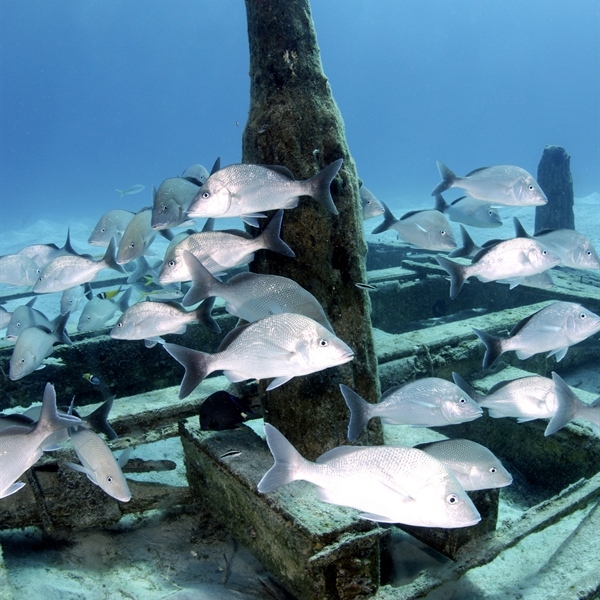 The Bahamas diving season is year round with water temperatures ranging from 76 F in the winter in the Northern Bahamas to 84 F throughout the Islands in the summer. The topside temperature is fairly constant during the year around 82 F except north western Bahamas, which are somewhat cooler in the winter. 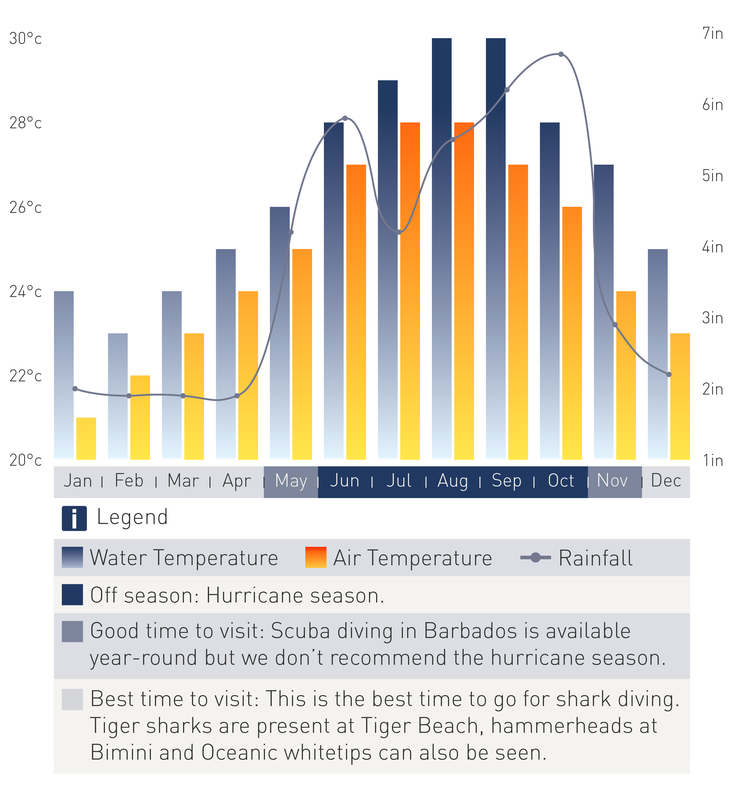 June to October is considered the rainy season and October to June is the best time to dive with sharks. Dive the World week with 25% off on board of Bahamas Aggressor.